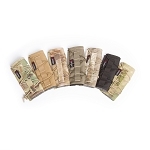 Below are images of the colors and camo patterns we offer. Keep in mind that not all colors and patterns will be available in all products. See product options for specific availability.